“Growing up in China, celebrating the Chinese New Year was one of my fondest childhood memories of all. Now that I am an adult living in a different country, my fondness for this special holiday has grown even though the celebration is different. I now understand more than I did as a child, and I have more appreciation for the traditions of this holiday. “Chinese New Year is all about tradition, and there are three major aspects of the celebration: food, family and luck. This holiday occurs in winter and falls on a different date every year, so it was always cold in Beijing at that time, but it was always full of energy, excitement and happiness, too. The smell (or the memory of the smell) of the food still makes me hungry just thinking about it. The family gatherings still make me homesick, and the everlasting pursuit of the luck and happiness makes it no mystery why the Chinese have been celebrating this major holiday for thousands of years and still going strong. 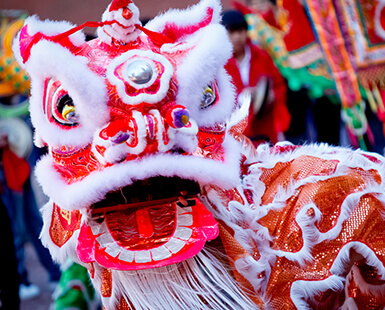 “Food plays a major part in the Chinese New Year celebration. Growing up, there were some special foods that are only available around the Chinese New Year. 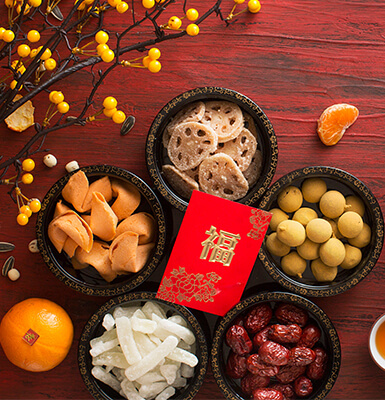 Nian-Ye-Fan (New Year ’s Eve dinner), comprised of many dishes, was always ‘the best of the best.’ There are so many meanings behind them, all geared toward a healthy and prosperous new year. In general, these dishes were put together by the parents’ generation, while the grandparents hang around to tell stories to the grandchildren. “Before the gathering at our house, my parents would start shopping for ingredients a month before the holiday to get prepared to host all the relatives. Great care was taken to make sure that the house was beautifully decorated, and only the best and most delicious food was served. “My grandfather once told me that Nian-Ye-Fan must have pork, chicken, duck and fish, four species presented in no less than eight dishes for the dinner. Chinese call this 四平八稳 (pronounced as ‘si-ping-ba-wen.’ It means ‘four balanced, eight steady’). This is the basic platform from which the families launch into a new year of health and prosperity. As part of the menu, dumplings, noodles and scrumptious vegetable stir-fry dishes were served. These recipes were passed down from the grandparents to the next generation, all without having to write anything down. “This was the time of year when everyone loved to show off cooking skills. The dishes that were eaten up first were of course the most liked by all. However, if all dishes served were empty at the end of the meal, it meant there wasn’t enough food. Striving to be the best hosts, my parents made sure this never happened at our house. While there must be leftovers from the dishes served to all, there could not be leftovers in our own bowls. It was said that leftover in our bowls was our luck. Since we were old enough to eat on our own, we were told that we must finish every grain in our bowl, so our luck didn’t get washed down the drain, literally and figuratively. Next time you see a Chinese parent or grandparent eat a baby’s leftover food, know that it is an attempt to keep luck in the family. “Like the Christmas holiday in the U.S., Chinese New Year is all about family get-togethers. Unlike the Western holidays, the Chinese New Year lasts for many days to a month, even without the official government holidays. 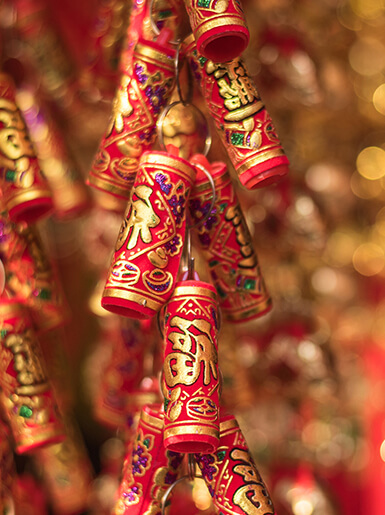 Family gatherings are a vital element of the Chinese New Year celebrations. Growing up in China, I didn’t have cousins because all of the children that belonged to the same grandparents were considered brothers and sisters. Looking back, I ranked No. 7 on my father’s side of the family and No. 8 on my mother’s side, while being the youngest in my own house. “This ranking was very important. Lower rank meant I was freed from many of the heavy-duty chores, but was able to lead the pack with younger cousins who didn’t know any better. However, when the older brothers and sisters played complicated board games, the ranking and age backfired as I was too young to play the cool games with them. “I loved seeing my cousins and listening in on the family information exchange. After all, there was a whole year’s worth of updates being exchanged. I didn’t understand all of them at the time, and could not really ask questions either as it was seen as impolite or inappropriate for children to speak when the adults were talking. As I grew up though, I recalled the stories and comments I overheard, and I started to understand many on my own. These family gatherings gave me many discoveries as part of my own growing up and starting my own family. “Being the youngest in my house, I have always been on the receiving end of the good-luck money (called: Ya-Sui-Qian), which is given in a red envelope for good-luck measure. After the meal, red envelopes were presented to the children by the grandparents and parents, after the children paid their respects by kneeling down on a mat to kowtow. The more sincere and respectful a child was during this ritual, the more money she or he received. “When resources were less plentiful, we received new clothes only right before the Chinese New Year. Parents splurged during this time to show off their kids, and kids were very careful not to get their new clothes dirty or damaged because it would be another year until the next batch of new ones. More importantly, it wasn’t lucky. “Fireworks are also an essential part of the Chinese New Year celebration. 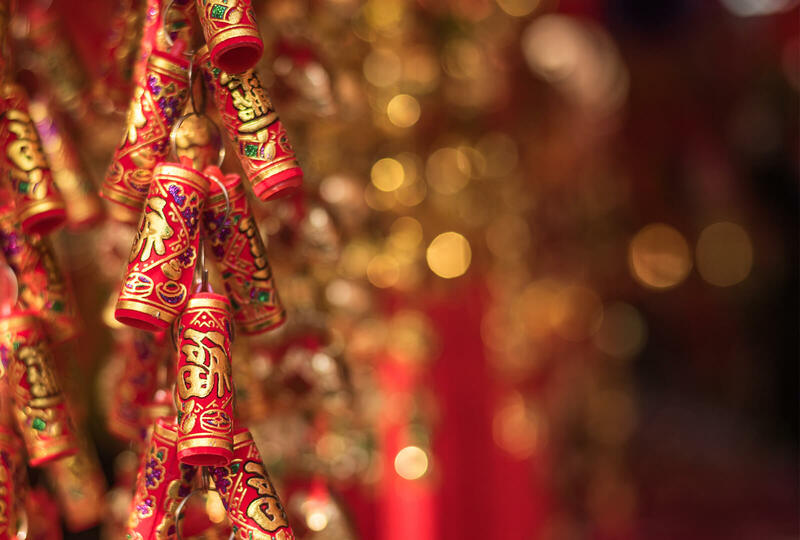 They are thought to blast away the old and unlucky things, and welcome the new and lucky fortunes with a very loud grandeur. After New Year ’s Eve dinner, there would be a couple of adults who got dragged out into the cold by the youngsters to light fireworks. “The louder and bigger the fireworks were, the more luck they brought to the new year. The loudest fireworks were lit as we counted down the clock to the new year. The last half-minute before midnight was almost deafening. Unfortunately, the major cities have now banned fireworks due to safety. But I had the fortune to experience it, and this will be a part of my memories forever. Bibi Kaminski is a customer business manager for Hormel Foods Sales in Bellevue, Washington.